Sometimes, I tend to be OC. Because of this, I have a habit of making checklists. I am very weird in a way that I feel frustrated whenever all of the items in my checklist are forgotten. Yes, I even think about these things when I'm supposed to be thinking about a vacation! To forego this frustration, I present to you my Boracay To-Bring Checklist! Take the splash and enjoy the summer! This includes toothbrush, toothpaste, soap, shampoo, comb and powder. Be sure that the SPF is 45 or higher! It will be a 3-day, 2-night stay so I guess having 3 pairs of shorts and 3 pieces of shirts are fine. I will also be bringing maybe 2 summer dresses, 1 swimsuit and 2 cover-ups. I will be wearing 1 pair of flip-flop and bring another 1 with me, too. I'll be bringing 1 pair of shades also. I will be bringing my trusty point and shoot camera with me to the trip because buying a water-resistant camera just wasn't in my priority list. I will just bring a small medicine bag which will contain analgesics, antipyretics, antiemesis, anti-nausea and antimotility drugs. I know that Boracay is home to convenience as it also has pharmacies around, but why go through all that trouble just for a single analgesic, right? It just isn't worth it. I'm considering buying a mini belt-bag so that I can always wear it, right? 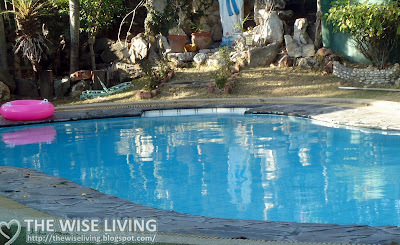 We're planning on a budget of P1,500.00/person per day. Do you think that this will be possible? Just little things to munch on whenever we walk. Papa brought cashew nuts, so, yey! Anything missing in this Boracay checklist of things to bring? Feel free to leave your suggestions in the comments!